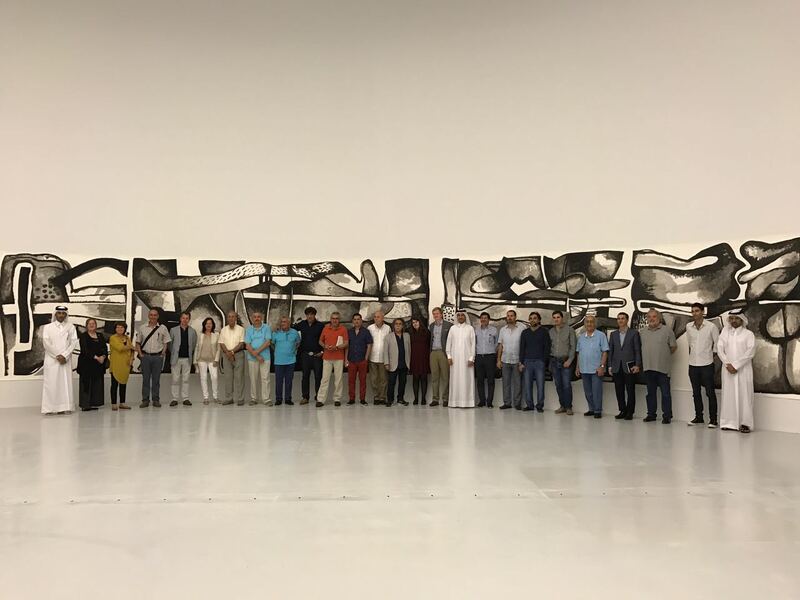 A major retrospective of the work of Dia Al-Azzawi took place simultaneously at Mathaf: Arab Museum of Modern Art and QM Gallery Al Riwaq in Doha, opening over two days on 16 and 17 October 2016 and running until 16 April 2017. 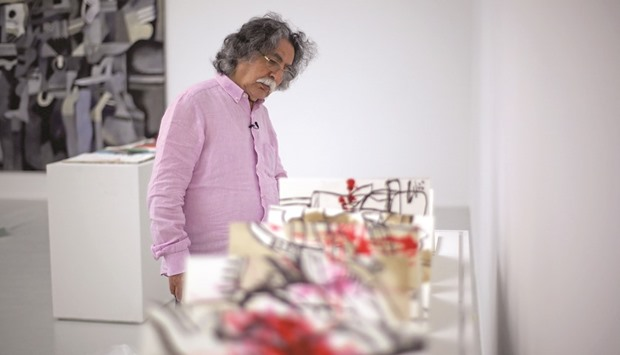 Dia Al-Azzawi is an internationally recognized and prominent figures of modern and contemporary art in the Arab world. 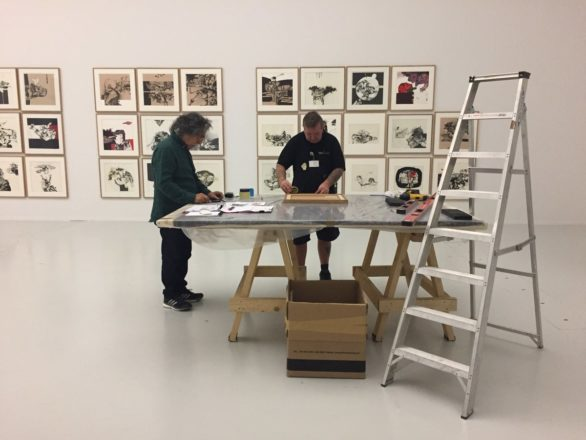 The exhibitions will showcased 400 works spanning two museum spaces totaling 9,000 square meters, this was almost certainly the largest ever solo exhibition by any Arab artist. 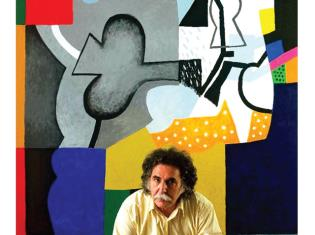 Azzawi has lived in London since 1976. 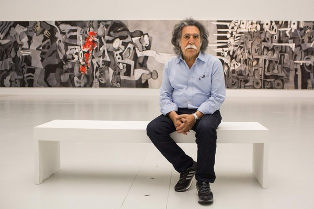 Azzawi, the 79-year old Iraqi pioneer of modern Arab art, has described his latest major exhibition as a "manifesto" against the great theft from the Iraq Museum after the US invasion in 2003. 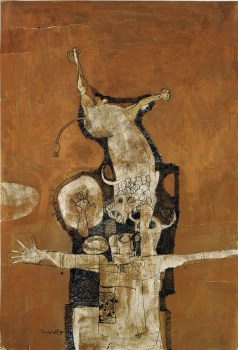 Azzawi's art reflects the destruction Iraq has witnessed, especially in the post-Saddam Hussein years, The exhibition housed at Mathaf and Al Riwaq is titled: "I am the cry, who will give voice to me?" 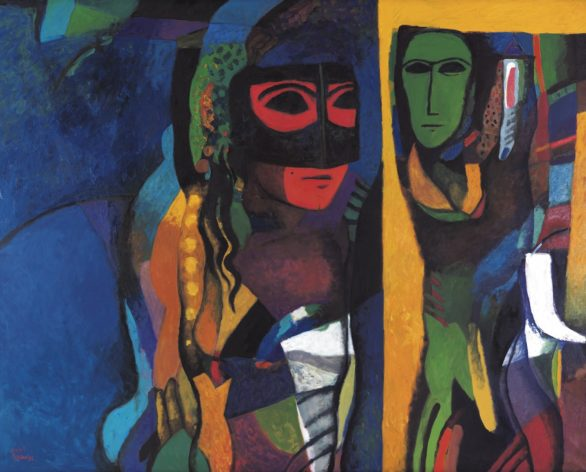 Azzawi's exhibition in the Qatari capital features hundreds of his works spanning 50 years' worth of drawings, books, and sculptures. "Mission of Destruction" is among the large-scale paintings and a response, he said, to the devastation suffered by Iraqis. The impact of conflict is a prominent theme throughout, felt by not only Iraqis but also Palestinians. 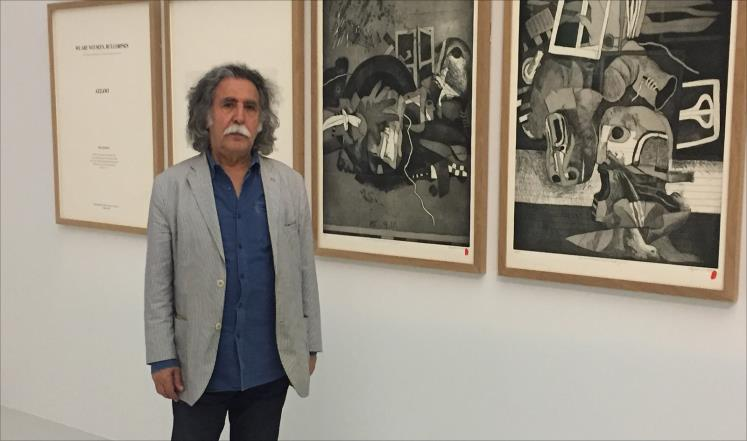 His depiction of the Sabra and Shatila massacre in 1982 that saw thousands killed in a refugee camp in Beirut was acquired years ago by the Tate Museum. Now on display in Doha, it is a reminder of the ongoing atrocities around the world.